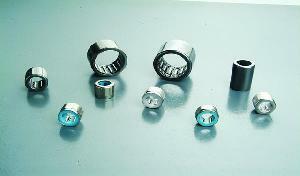 are specialized in manufacture and export Self-lubricating Bearings, Needle Bearings and DU Bushings. It is widely used in the field of textile, paper-making, food, medical machinery, packing, chemical, mining, daily use, ceramics, automobile, electricity, cryogenic engineering, valve, wind power generation in the United States and other developed countries in the 1980s'. Japanese oilless bearing is our copartner. Company Name: B & B Electromechanical Industry Co., Ltd.